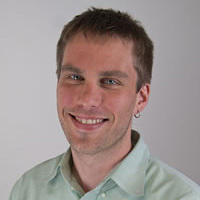 Erik Tillema is a former middle and high school mathematics teacher. He is now an associate professor of mathematics education and the chair of teacher education in the school of education. He teaches pre-service elementary teachers in mathematics content and methods courses, is working on the development of an MAT for secondary teachers in mathematics education, and is developing a minor in mathematics education for urban education studies doctoral students in the school of education. His research focuses on (1) students' mathematical understandings and (2) the role of racial identity in teacher-student interactions. As part of his first research interest, he investigates how middle grade and high school students develop non-linear meanings of multiplication, and the generalizations they make as they develop these meanings. He is one of four PIs on an National Science Foundation grant entitled Generalization Across Multiple Mathematical Areas. The purpose of the grant is to investigate 6th grade through collegiate level students mathematical generalization across a range of mathematical domains including algebra, geometry, algebra II, calculus, and discrete mathematics. As part of his second research interest, he investigates how students' and teachers' racial identity impacts the kind and quality of interactions they have. He situates this investigation within the broader context of inequitable outcomes that schools reproduce and the structural changes that need to be addressed in order to address this inequity.